Training specifically for NC Community Colleges’ Executive Assistants/Board Liaisons will be held May 31-June 2 at the DoubleTree by Hilton-New Bern-Riverfront. Registration for the event is $179. *A ​block ​of ​rooms ​has ​been ​reserved ​at ​the ​hotel ​at ​$119 ​per ​ night ​for ​Sunday ​and ​Monday ​nights. 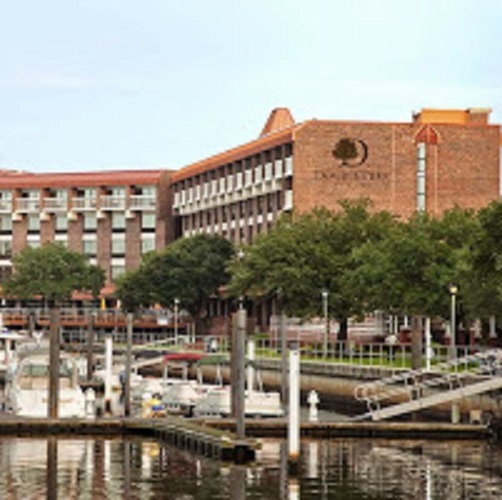 ​ ​ ​Please ​call ​the ​hotel ​ directly ​at ​(252) ​638-3585 ​to ​book ​your ​room ​on ​or ​before ​ Thursday, ​May ​7, ​which ​is ​the ​cut-off ​date ​for ​the ​special ​ rate. ​ ​Use ​the ​group ​code: ​NCT.